Does your air conditioner turn on and off repeatedly? Ensure to take immediate action. Perhaps you’re used to short cycling. However, it’s very important to ensure that your unit is working properly especially when the hot periods are coming. The only solution to get peace of mind is by calling professional to service your air conditioner. Consider these 4 reasons why your AC repeatedly turns on and off. Perhaps the air conditioner repeatedly turns on and off because the thermostat is in an impractical spot. The AC might be sending the on and off signals corresponding to the temperature where you put the thermostat. It’s important to avoid putting the thermostat near an air supply vent or sunny window. This might cause the air conditioner to repeatedly turn on and off because the thermostat is confused about the actual temperature in the spot. There’s a possibility for your air conditioner to turn on and off regularly when the Freon level is too low. The coolant absorbs heat and cools the air. When it’s low, the compressor levels are likely to become unstable making the air conditioner to turn on and off repeatedly. This exposes your AC to severe damage. Therefore, as soon as you notice refrigerant leak, ensure to call a professional technician to fix the issue. Another possible cause that might be causing your AC to turn on and off is a restriction in airflow. With the restriction in airflow, the evaporator coil is likely to become frozen. This explains why the unit might be turning on and off. It’s a very good idea to schedule periodic air conditioning service Houston TX from professionals. These can replace the air filter at least once a month to ensure that your air conditioner is working efficiently all the time. Having a bigger AC than required for your needs might also cause the unit to turn on and off repeatedly. When the air conditioner is bigger than what your home requires, the unit will just cool down the home much quicker. Then, it’ll shut off immediately after turning on. It might seem good enough but there’s a risk of hiking your energy bill with possible chances of a breakdown. Ensure to call a professional technician to do proper sizing for your AC. When the repairs can’t fix problems on your air conditioner, a reputable technician can get you a new unit. These will give advice on the right size for your cooling requirements. 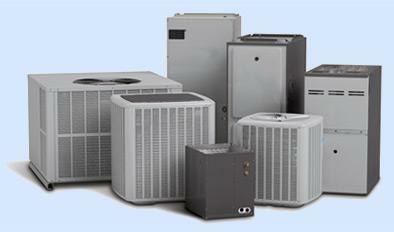 Regular maintenance of your air conditioner is very important to avoid costly charges. Ensure to have a team of AC technician s in Houston on your speed dial. This will come in handy when your unit develops any of the issues listed above. To ensure a high standard of comfort in your home, a professional air conditioning and heating agency is your best bet. These sell and service a range of top AC brands in the market. The agency usually has certified and factory trained technicians to handle any issues that might develop on your system.